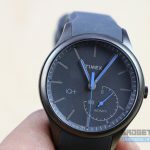 One of the leading watch manufacturers in US, Timex today launched one of its premium range of revolutionary Intelligent Quartz, Timex IQ+ at an event in Delhi. 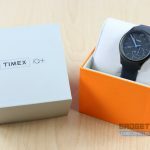 Relatively new player in smart watch segment in India, Timex IQ+ majorly focuses on the style and track your day to day activities while maintaining your looks. 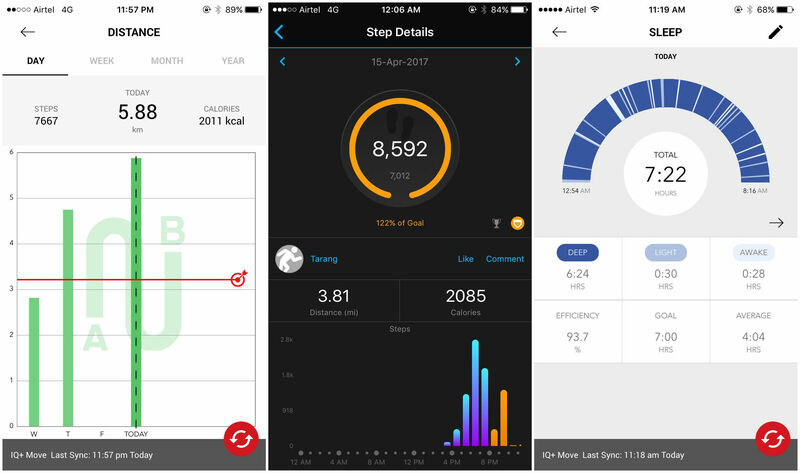 Create your fitness goals, control hands of watch through app and set alarms. 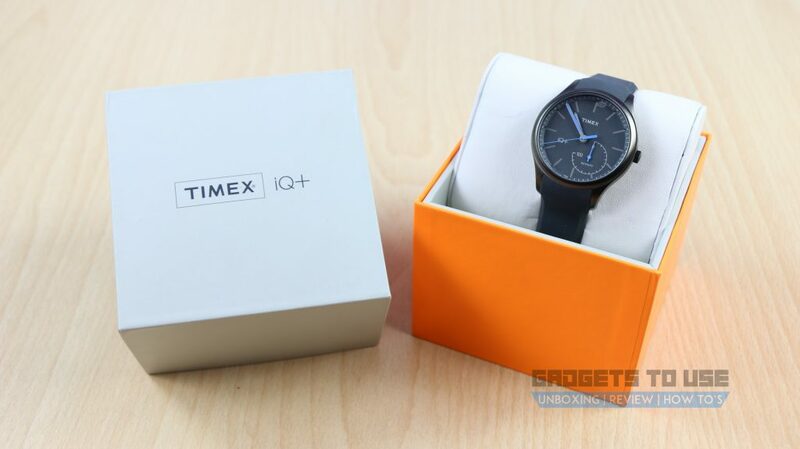 Timex IQ+ is an enhanced version of new age smart watch making which can be worn to work or more formal occasions. 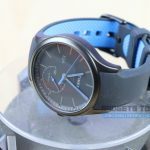 Since most of the fitness trackers are bulky with the looks and endure an image problem, smartwatches are gathering more fame these days as they give you better looks along with daily basis activity tracker. The watch offers all the features needed to track your sleep patterns and day to day activities. 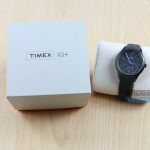 Timex IQ+ comes with a brass metal analog dial and grey silicone strap (also available in leather strap) with hour hand, minute hand, seconds hand and activity tracker hand. 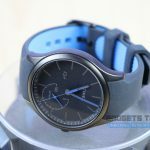 Silicone Strap is having a good grip but attracts dust at times. 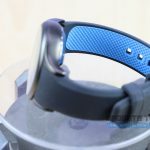 The IQ+’ Display glass is of a good quality. Being an analog smartwatch, it has to be synced with the app every time to get activity updates. Even watch hands can be aligned by syncing the watch to the app. Moreover one can also set the “Seconds’ Hand” as to show the dates also. 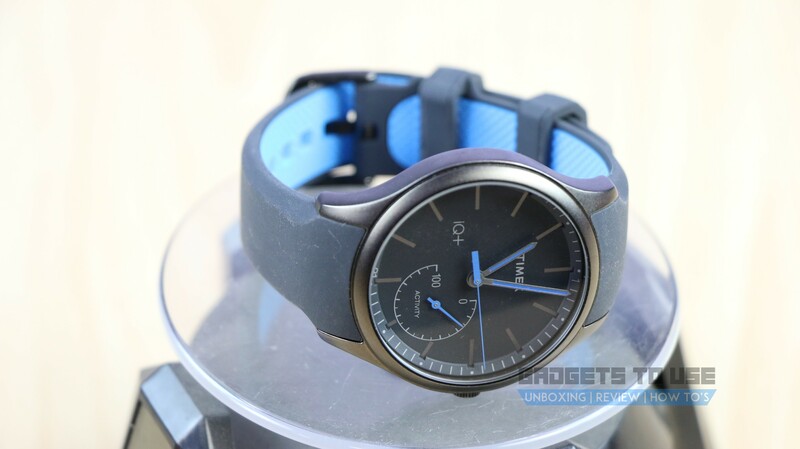 Basically this watch is aimed at maintaining your looks as well as track your activities. 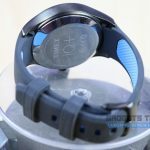 With a light weight and a good grip, watch can be used while swimming and having shower also (though not recommended to keep watch for longer duration in water). Also INDIGLO lights gives you visibility at night to check the time and activity goals. 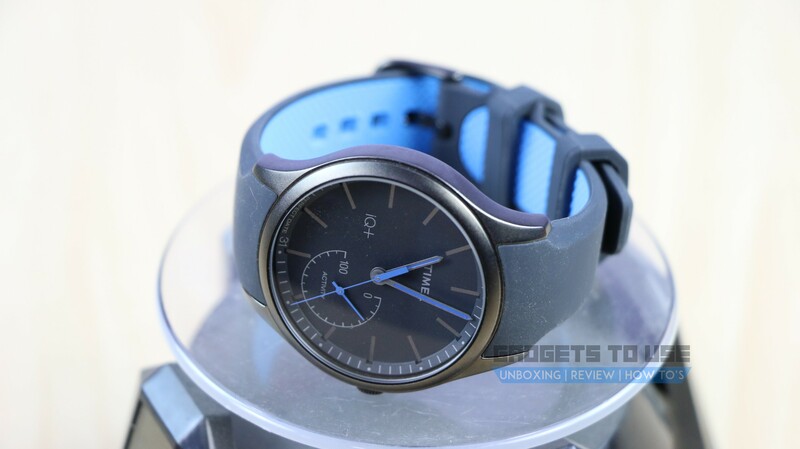 Hence this has a good built along with decent activity tracking. 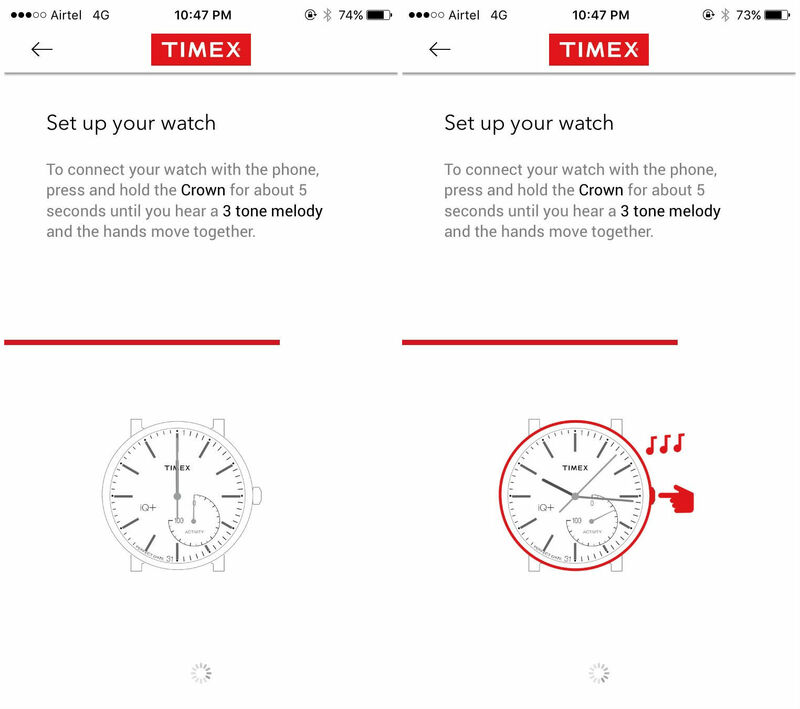 The Timex IQ+ app UI majorly looks as follows. 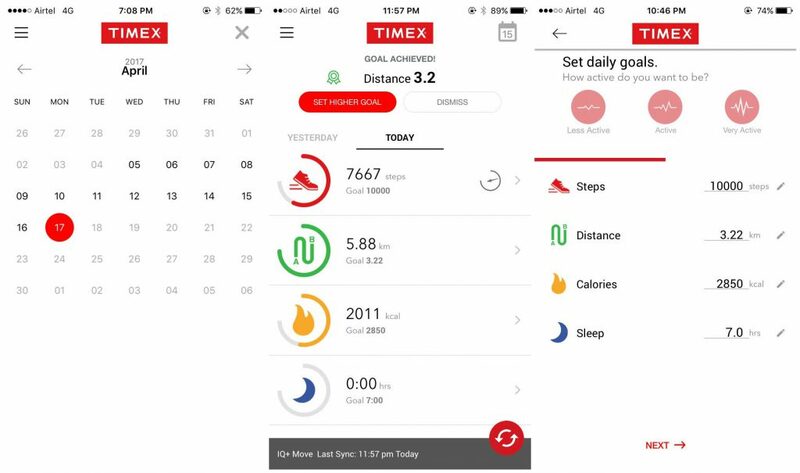 The home screen (after syncing) displays the results like steps, distance, calories and sleep. To the Top right it displays the calendar. 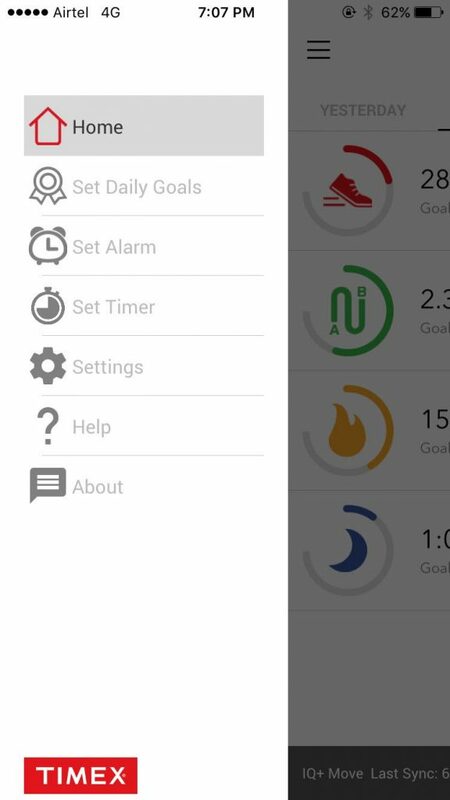 To the top left is the menu selection option which has options like “Set Daily Goals”, “Set Alarm”, “Set Timer”, “Settings”, “Help” and “About”. In order to set the time you have to click the menu button and then select “Settings”. 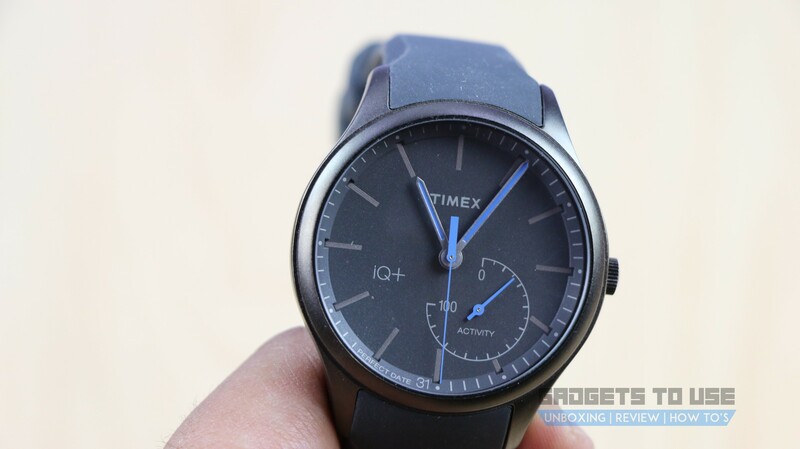 There scroll down to “Advanced Controls” and select “Align Watch Hands”. Then press and hold the crown till you hear 3 tone melody. After that align “Hours” hand, “Minutes” hand and “Seconds” Hand to 12 and “Activity Tracker” hand to 0. Then click okay and it will automatically fetch the time from the phone. 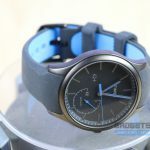 Initial One Time Setup usually takes around half an hour in which it basically updates your watch with latest firmware, alings watch hands and asks about various goals you want to set. Moreover it also asks which functionality you would like to opt for the activity tracker, whether it is “Steps” or “Distance”. 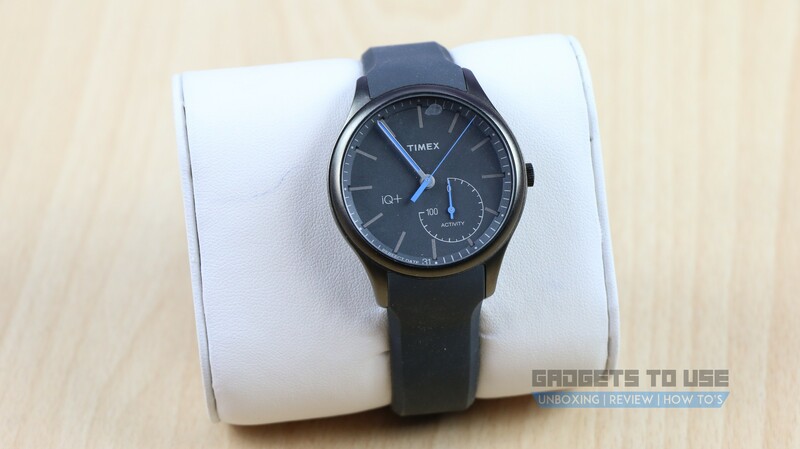 The Timex IQ+ Watch has its own pros and cons. Maintain your style without compromising your looks as you get a good analog watch with activity tracker. 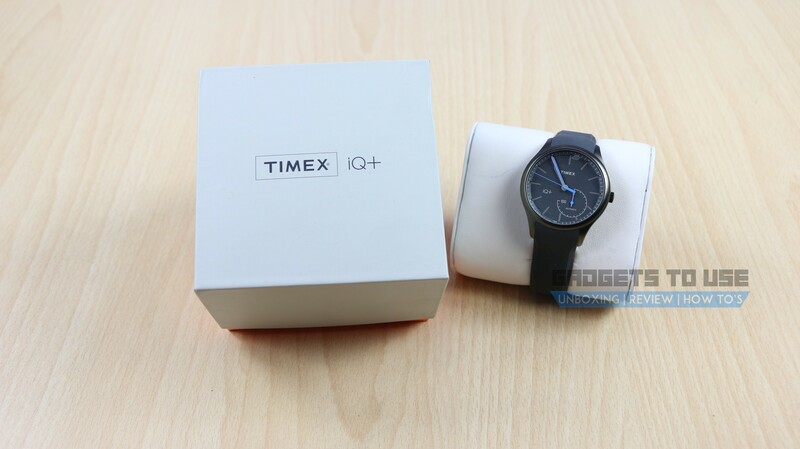 Timex IQ+ is also light weight so again gives a good user experience for prolong hours usage. The inner side of the strap gives a good comfortable grip. Indiglo lets you see the time and tracker activities in low light as well. Track down your steps, sleep analysis, calories and distance data at the same time. Water resistant upto 50 meters. Times IQ+ app available for both iOS and Android. 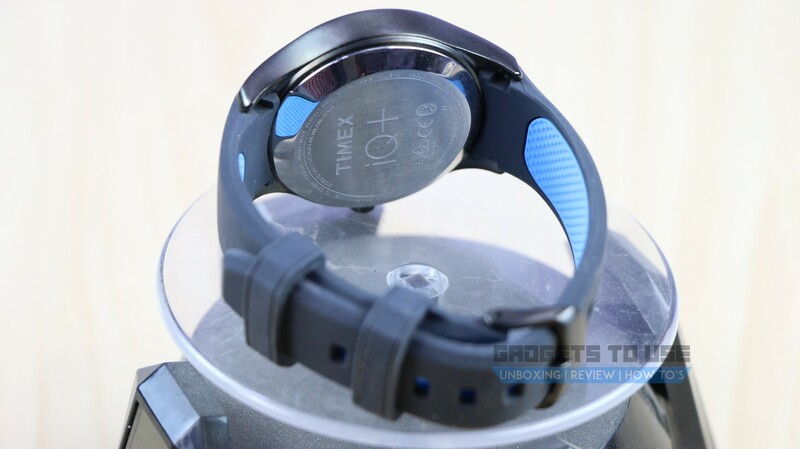 Timex IQ+ doesn’t track the heart rate, which is expected feature. Having total analog display it becomes quiet tedious to again and again sync the watch to the app to to get the metrics. Though Activity tracker shows the data but it just gives an approximation. 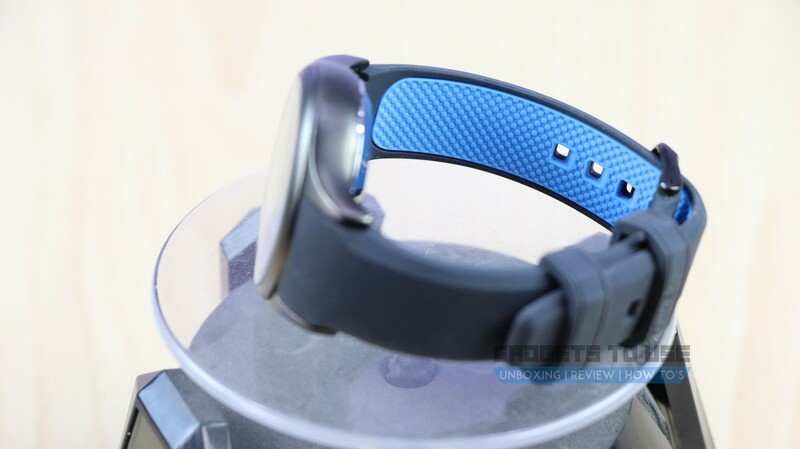 The outer silicone strap attracts dust at times. Calling and Message notifications with some vibration or melody tone even is not available which is again a must to have feature. 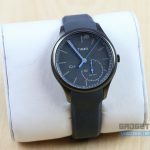 On the whole it’s a decent watch but in the same price segment one can expect a good fitness band or a decent smart watch from other brands as well. 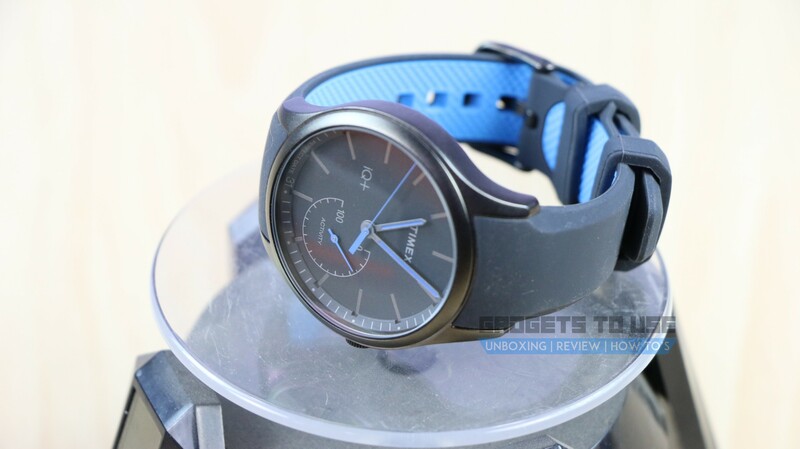 But if doesn’t want to compromise on looks and also want to have a device to track down the activities with a good accuracy then this is the device to go for.